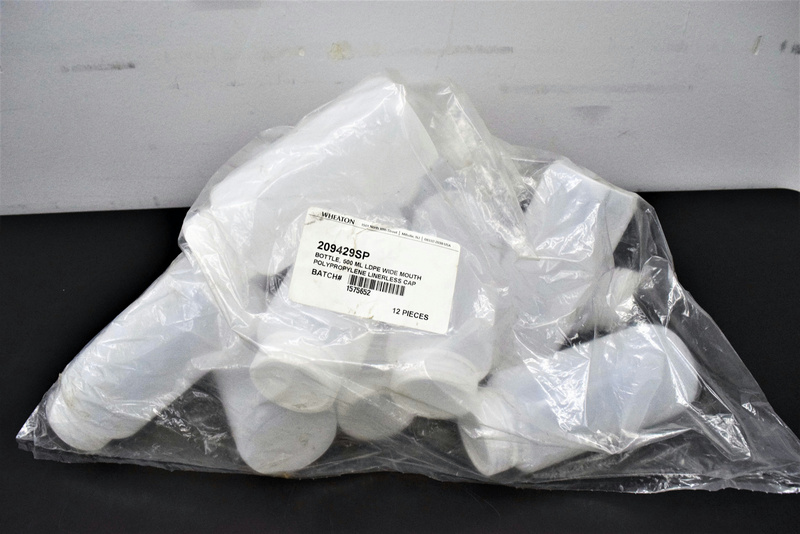 Wheaton 209429SP Natural LDPE Cylinder Bottles with Wide Mouth Twist Caps . New Life Scientific, Inc. These bottles are low density polyethylene leak proof lab bottles that are a good option for field work or laboratory. The wide mouth bottle makes it easier for filling with a no drip pour lip. The 500mL bottles hold 16.9 oz. and the cap size is 53/410.